The grocery supply chain can be difficult enough, but when it comes to produce, the stakes are higher. Consumers are switching from consumer-packaged goods to fresh foods, like fruit and vegetables and if it’s not fresh, they will take their business elsewhere. Produce is grown in the U.S but also in other countries such as Mexico, Chili and other countries, but it still needs to get to Minnesota, Michigan, and Maine in a matter of days, not weeks, to ensure freshness. Now add the pressing deadline of perishable foods with expiration dates and the regulatory requirements for food safety and product traceability, and you get an idea of the complexity of the food supply chain. In just the last two months there have been over 75 FDA recalls from Listeria to Salmonella to undeclared Tree Nuts and Milk. Each one of these recalls could cause major illness and in some cases, even death. You only have to see the problems that fast food and organic food proponent Chipotle has been having with their own supply chain to understand the importance of food chain-of-custody traceability. And the grocery supply chain needs to be a part of that. How easily can you access chain-of-custody data? Are you capturing the expiration dates and lot numbers in your advanced shipping notice (ASN) data? To guarantee that you get all of the information that you need, establish full EDI compliance from your vendors. Testing and Certification between you and your vendors to confirm EDI compliance ensures that all of the lot number, expiration date, chain of custody and other vital information is received. Testing and Certification from SPS Commerce is customized for each retailer’s order management model and electronic trading requirements to make sure vendors are fully prepared to provide all the necessary data. Following the completion of testing and certification, vendors are fully prepared to exchange data with the retailer; SPS aftercare continues into production to verify success. Outbreaks that make traceability necessary are just the start of the problem. What do you do when one of your suppliers is the subject of a contamination recall? Do you let those shelves sit empty for a few weeks, or do you source other vendors to provide the same or like products? Are your vendors and 3PLs safe? Many of Chipotle’s issues had to do with their cold supply chain — the supply chain that manages perishables like produce, fresh fish and dairy products for most supermarkets. The cold chain currently consists of numerous small vendors who are frequently local; one might deliver fish while another transports tomatoes and a third brings milk. A Retail Network like SPS Commerce’s is also a great place to track down vendors and third-party logistics providers in the cold chain, as well as find any drop-ship-capable vendors, if you ever do start dabbling in the e-commerce realm yourself. 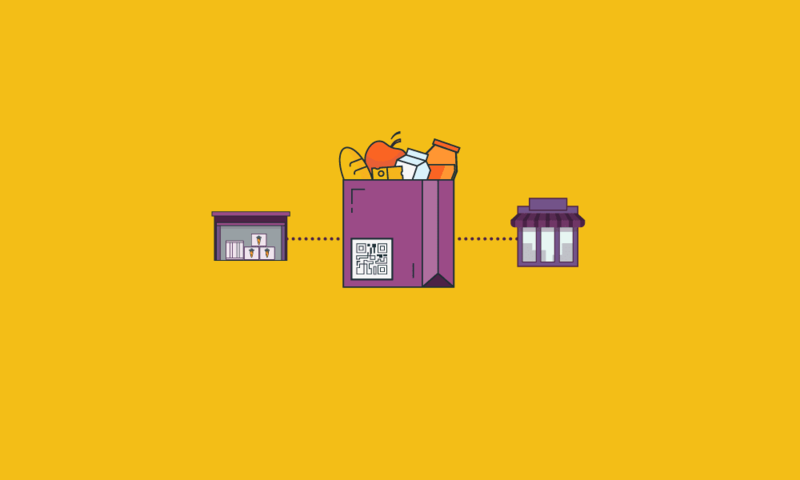 While the retail grocery supply chain has many of its own challenges, they can just as easily be met, addressed, and conquered with many of the tools and solutions that SPS has to help grocers, retailers, suppliers, 3PLs and more. If you would like to learn more, please visit our website at www.spscommerce.com or ask to speak to one of our knowledgeable SPS representatives.